It is with much sadness that I am setting up this page in memory of our amazing family member Brea Robinson. Brea passed away at the age of 24 on Tuesday, January 22nd, after injuries sustained from being shot on October 27, 2018. Brea was shot while sitting in her car. 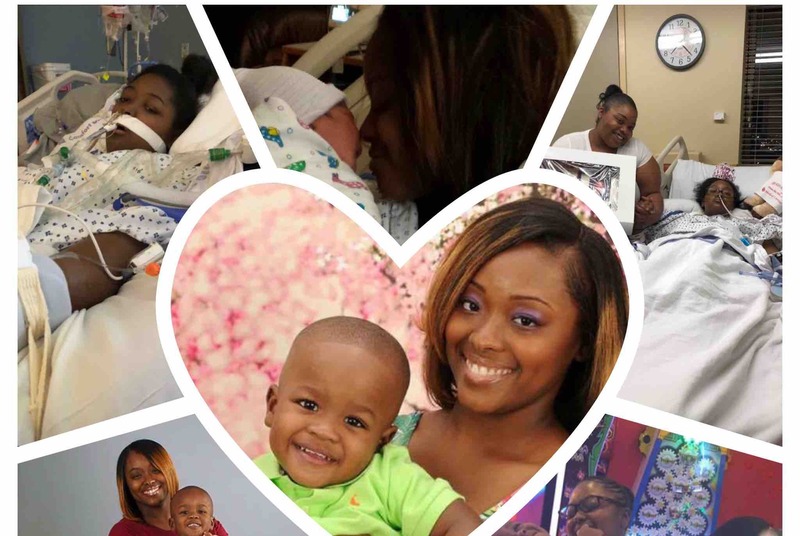 Brea spent more than a month in the hospital, including her 24th birthday. Brea had undergone many surgeries, and was on her way to recovery. Brea was released from the hospital, only to turn around and have to be admitted again less than 3 weeks later, due to complications with her injuries. On the day of her death she had been back in the hospital for 2 weeks. Even though she was back in the hospital she was in good spirits, laughing, joking around, and interacting on social media. On Tuesday, January 22nd, Brea had surgery, during the surgery Brea’s lungs collapsed, and she flatlined, but the Doctors were able to revive her. After getting the consent from her mother to perform surgery on her lungs, she flatlined once again, but was not able to be revived this time. Brea leaves behind her 5 year old son Breon, who also has autism. Breon will be left in the care of Brea’s mother, Lakeesha who also has many health issues. Brea was the sole provider for her son Breon, with her passing it has left our family in a precarious financial position. Brea touched so many lives and her contagious smile brightened the day of everyone she encountered. While we shed our tears of her departure, we celebrate her life and know that our angel, is looking out for us from above. The light that she brought in this world will shine on forever. As a way to honor her memory, while also offering support to our family, please consider donating. While the emotional burden is certainly overwhelming for us, I’m hoping that through this GoFund Me we can lift the financial burden. We hope that we may be able to channel some goodwill in a way that helps the family in a way that we currently need the most. If you feel that you would like to lend your support to our family, please give as generously as you feel able to. All the money raised will go towards funeral expenses for Brea, and supporting her mother and her son Breon. Thank you for all your donations and condolences.